Be the first to hear about their new releases and deals. 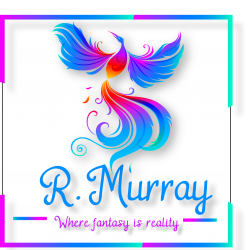 Download the Booksprout app and search for R Murray today! So who am I? Well I am paranormal and fantasy writer. My stories don't have much romance I tend to go for the action! Though a little romance never hurt anyone! I am from London originally, but I am currently living in Auckland NZ until I return back to the UK in December. In the week I am dog Day care supervisor (great inspiration for my wolves in my books) and at the weekend is when I become a writer or try to!